Yesterday’s trip (which was to Arniston – and more specifically the cave there) went very well. Thank you for asking. 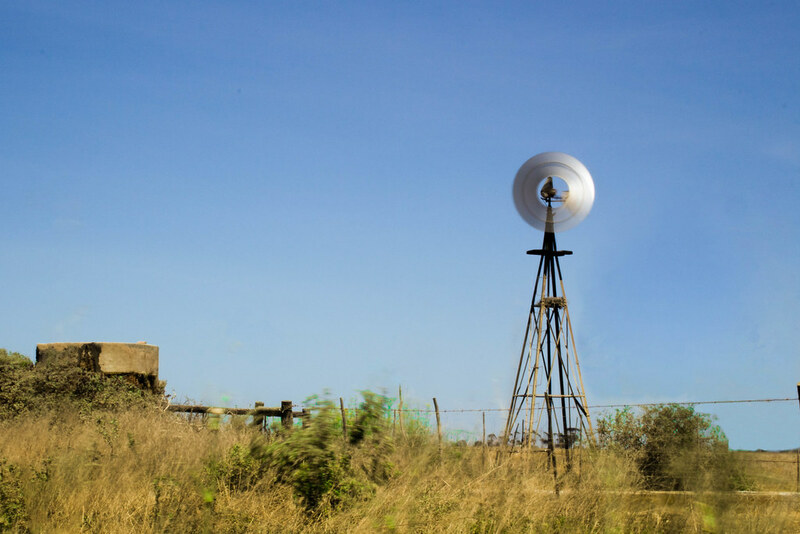 On the way back, we stopped to take this shot of a local windpump. This might not be the best image you’ll ever see of a local windpump, but I like it for a couple of reasons. Firstly, this was one of the images I had in mind when I bought my new filters for the camera. It’s nice to have got it (and now I have something to improve upon). And secondly, because of reasons, I had to do quite a lot of editing on this image. It’s certainly not perfect (I can see the join marks), but it’s actually pretty good – especially for me. Maybe sometime, I’ll share the unedited version and you can see the improvements. That’s sometime is not today though, because today is about heading home to Cape Town. More images from the last couple of days here.